The 10 Best Educational Activities for Children in Delaware! The state of Delaware is brimming with educational activities for children year-round. From dinosaurs to pirates, space exploration, to art, there is something to do for every age and interest. Many activities are either free or low cost and are available seven days a week. Here are the 10 best educational activities for children in the state! Located on the Wilmington Riverfront is a building over two stories tall, with every color in the crayon box decorating its outer walls that is hard to miss. The Delaware Children’s Museum took over the old Kahunaville site directly on the Delaware River and has been a local hit ever since. Their mission? “To inspire children to explore, discover, and celebrate the power of their potential through interactive experiences in an environment that integrates and stimulates science, technology, engineering, arts and mathematics.” They accomplish this with exhibits such as the S.T.E.M. room, the Stratosphere, EConnect, Rotating Fun (a mini speedway), and so much more. Events are always happening so be sure to connect with them on their website or social media pages. We are looking back at our #Stratosphere Climber @delawarechildrensmuseum on our blog this week! Step into a world of science and discovery at the Delaware Museum of Natural History. 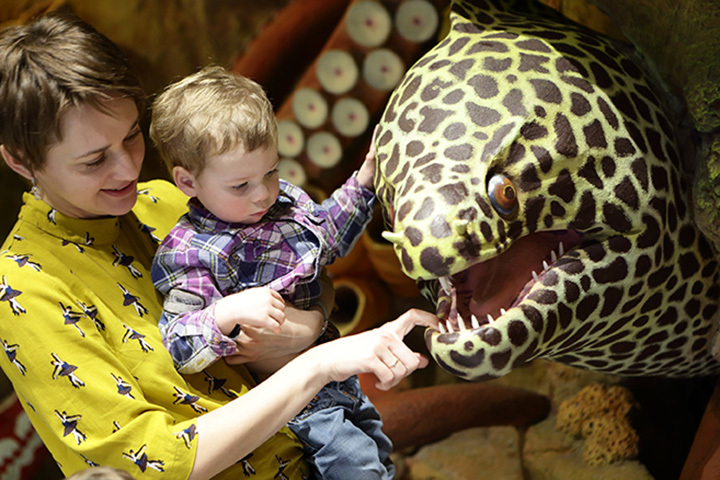 Here you will find habitats from around the globe, such as a giant squid, stare a jaguar face-to-face, a mass collection of shells from around the world and the only permanent dinosaur collection in the state of Delaware. Interactive activities include the Nature Nook which feature hands-on activities for the younger guests, and educational programs include summer camps, nature tours, and field trips. The Delaware Children’s Theatre is overflowing with performances designed to educate, entertain and stimulate activity for children. In its fourth decade here in Delaware, the Delaware Children’s Theatre has presented hundreds of performances to critical acclaim. Voted winner of Reader’s Choice 2016 by the News Journal, the Delaware Children’s Theatre is a hit for children young and the young at heart! Did you know that Delaware has its very own space museum? Located at Big Oaks Park in Smyrna is the Delaware Aerospace Education Foundation which hosts events such as family nights, Eyes on the Skies, and, among others. DASEF hosts monthly programs on astronomy for families and children, school trips, churches and scout troops. Their classroom outpost hosts activities on everything from skeletons to minerals and rocks, space and dinosaurs lasting two or more hours. There is a Mount Joy Observatory has a telescope that allows viewers to see sunspots, planets and more. Check their website for event information or call for an appointment to come in and see what they are all about! Housing one of the largest collections of shipwreck and recovered artifacts in the Mid-Atlantic, the DiscoverSea Shipwreck Museum is a revolving exhibit that changes when new artifacts come through the museum’s collection. With over 10,000 artifacts at all times, DiscoverSea invites you to join them for a hands-on experience that enables you to travel back in time when pirates roamed the seas and amassed treasure that we get to explore and learn about today! This place is great. Check this place out. There is more than meets the eye at the Delaware Art Museum. Children and families can learn about the world of art through the Glory of Stories, which introduces young visitors to art and the Museum through a story reading followed by an interactive tour of relevant works of art and a studio art project. There are also arts and science festivals throughout the year, special exhibits, and plenty of activities for children throughout the year. For more information check out their website or call the museum to find out what would fit best for your family’s artistic needs. When was the last time you took a hayride on the beach or went on a ghost crab watch? How about watching dolphins glide through the ocean with your children or grandchildren? Climb up a World War II Observation Tower, or roam around the Artillery Park at Fort Miles Museum & Historical Area in Lewes. There is more to see here than can be listed on this page! The large guns of Fort Miles installed inside the sand dunes of Cape Henlopen were designed to defend against Germany during World War II. The artillery park and museum invite you to discover more about World War II along the Delaware coast. The Seaside Nature Center in Cape Henlopen contains five 1,000-gallon tanks and a touch tank containing underwater invertebrates. Exhibits explain the different types of habitats (where animals live and forage) that are housed within the park. Take a look through the live Osprey Cam from April through August or borrow a bike at the Seaside Nature Center’s Borrow-A-Bike program from 9 a.m. to 3 p.m. daily for two-hour rides for free. For more information please contact the park for events and bike availability. The DuPont Environmental Education Center in Wilmington is a free facility for the public. It features a quarter-mile pond that winds through freshwater tidal marshes and a multi-story environmental center with picturesque panoramic views. A 10-acre ornamental garden is a delight to behold. There are free programs to the public daily so be sure to check their website’s calendar for more information. The Hagley Museum offers a variety of family programs year-round filled with creativity and inspiration long after the visit has ended. Come and enjoy bicycle tours, Science Saturdays, tie-dying activities, learning about circuitry, canon firing demonstrations and so much more, each and every week. Keep the holidays in mind because Hagley Museum decorates the du Pont family home in glorious attire that will bring you to the Victorian era of Christmas décor, traditions, and the celebration of the Twelfth Night. Had a blast visiting the original Du Pont site! ⠀⠀⠀⠀⠀⠀⠀⠀ What's your favorite historical spot to visit?